Werribee doctors located at 88 Cottrell Street Werribee VIC. Book Online. 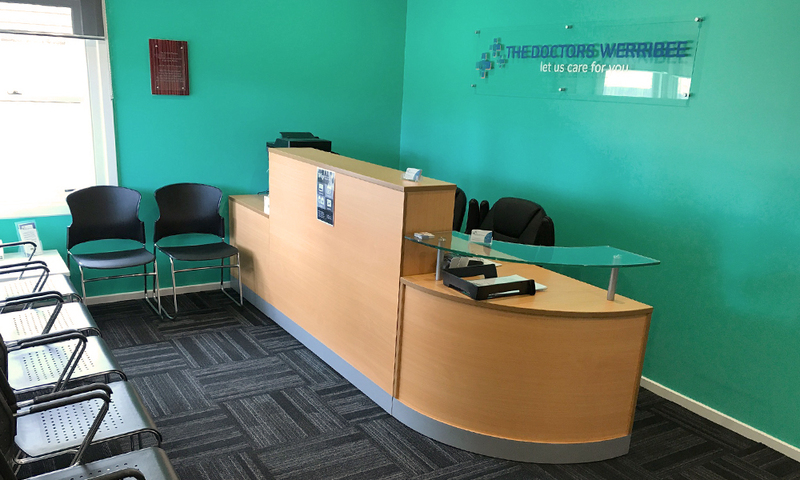 We are a family owned and operated General Practice in Werribee. Our staff including the doctors are focused on providing comprehensive medical services to offer you and your family the best possible care. 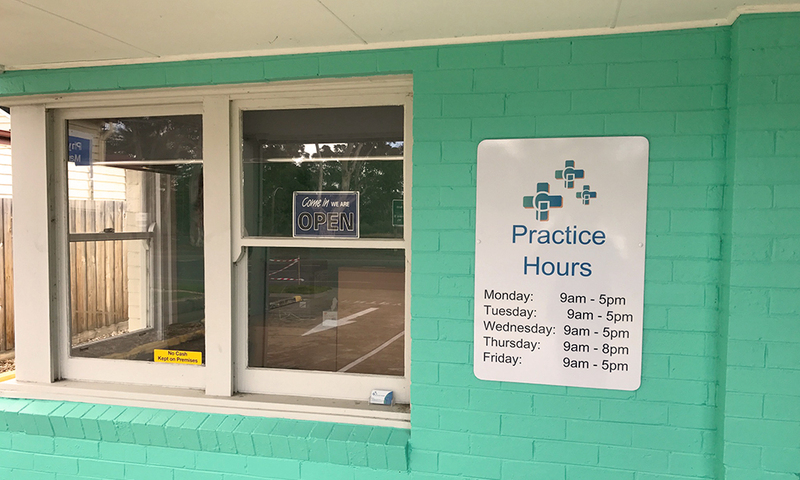 At The Doctors Werribee we seek to provide you with the highest standard of care by embracing current best practice and engaging you in your own health and well-being. We are a fully computerised facility, meaning your medical records are highly secure and up to date. You can be confident you are receiving the very best care as measured against the standards developed by the Royal Australian College of General Practitioners (RACGP). We believe the provision of excellent service should be accessible to all, and so we are committed to treating all patients with dignity and respect. We are a Family Practice with you at its center. Dr Sashika Majuwane Kankanamge has been practising medicine for more than 8 years. She obtained her primary medical qualification (Bachelors in Medicine and Surgery) in 2005 from University of Ruhuna in Sri Lanka. Dr Sashika is fluent in English and Sinhalese languages. Before becoming a General Practitioner at The Doctors Werribee, she worked in a leading teaching hospital and medical centres in Sri Lanka. Dr Sashika is highly experienced in General Medicine, Women’s Health, Geriatric Medicine, Intensive Care, Emergency Medicine and Anaesthesia. Since migration to Australia in 2011, she has obtained hands on experience about Australian healthcare system, healthcare best practices and Australian communities and culture. Dr Sashika lives in Melbourne with her husband and two children. She was in Canberra for 3 years and Brisbane for 5 years, before moving to Melbourne as her destination to settle down. Dr Sashika spends her leisure time cooking dishes from all around the world, reading general subjects and travelling. She is a well organized person and always find smart ways to manage her time and tasks. Dr Roberts has been practising Medicine since 1990 in different countries. She has been working as a GP since 2013. After immigrating to Australia in 2017, she continues to work as a GP here. She loves music and theatre and enjoys time with her family, walking and gardening. Dr Roberts will be available for appointments Tuesday and Thursdays from 9.30am until 5.30pm. Julie is the Practice Manager at The Doctors Werribee. With 13 years of experience in health practice management, Julie has extensive knowledge in all aspects practice management. She leads a team of dedicated staff and is responsible for the day to day operational management of the practice on behalf of the Director. Feel free to get in touch with Julie if you would like to discuss any aspect of the practice, the service or the team. She’s always happy to take positive comments, suggestions or complaints! Outside of work, Julie enjoys photography and watching basketball. Kiran is an Accredited Exercise Physiologist graduated from Victoria University in 2009. He has an overseas Physiotherapist too. He has particular interest in improving quality of life, health and wellbeing through prescription of exercise. He is specialised in graded exercise therapy and lifestyle interventions for persons at risk of developing, or with existing chronic and complex medical conditions and injuries. Kiran gained experience in a wide variety of clinical settings through Monash Medical Centre conducting individual and group exercise classes for people with kidney disorders and undergoing dialysis. Kiran also works with elderly population living in nursing homes to age well and longer. He has also been providing services in medical centres to specific populations with a wide range of chronic conditions under Medicare, DVA and CDM (chronic disease management). Kiran provides evidence based exercise programmes that are specifically tailored to each individual client. He applies “exercise as a medicine” for the treatment of chronic diseases such as musculoskeletal, cardiovascular, Metabolic, neurological and other conditions. Katrina has been a practice nurse for over 10 years in the local Wyndham community. She loves being a nurse and being able to help people manage their health. Being able to educate people on self management of their chronic illness she believes leads to better health outcomes long term and leads to greater satisfaction and happiness. Diabetes management and education as well as women’s sexual health are her main areas of expertise. She is also an immunisation nurse and can help sort out your and your child’s immunisation needs. Katrina is a mother of two young children who give her the greatest joy in life. She loves the theatre and is involved in a local theatre group and choir and has been learning to tap dance also! She will often be caught singing and reading in her spare time. Katrina looks forward to meeting you and helping you with your health needs. Michael is an Accredited Practising Dietitian (APD) with a Bachelor of Biomedicine from the University of Melbourne and Masters of Dietetic Practice from La Trobe University. Michael loves to empower others with the tools they need to focus on their health and nutrition. His key areas of interest are Weight loss and Diabetes but he is always willing to help individuals make a positive impact on their health. Michael’s passion for health and nutrition was sparked by his own weight loss journey, having gone from 130 kg to 65 kg over the space of a few years. He encourages individuals to take control of their lives and does his best to facilitate them to do so. Michael is enthusiastic, passionate and has a deep desire to help others. He follows a holistic approach to health and incorporates all aspects of a person’s life in to his practice. The National Hearing Care will be offering free hearing tests at our Practice on a monthly basis. National Hearing Care will conduct free hearing screenings, for all patients 26 years and above. Based on the test results, staff will organise an appointment if the patient needs to have further testings with an audiologist. Seeing an audiologist will be of no cost to our patients.